On a whim, I decided I needed Valentine decorations up in my house. 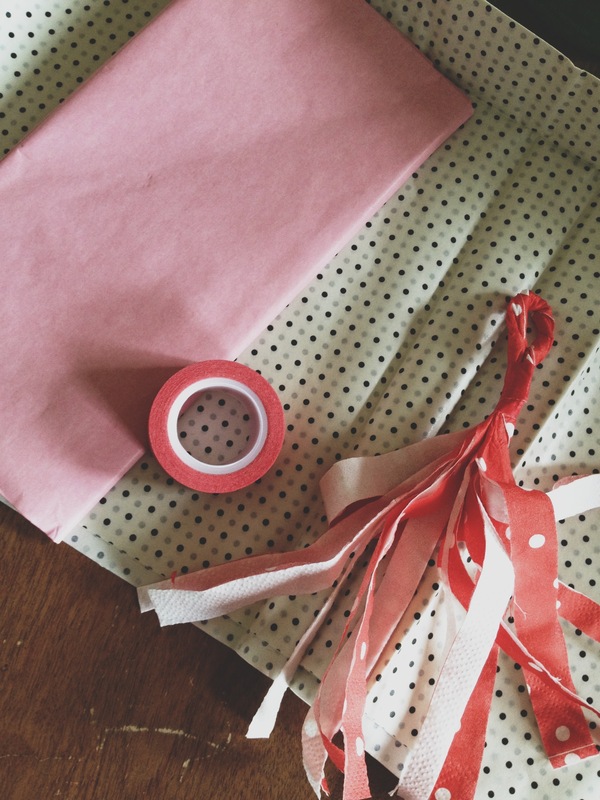 So I spent $6.50 at Target and got two packages of tissue paper and one package of paper napkins to make a quick, cheap, and easy Valentines Day banner. I made this little guy in about an hour and it couldn’t have been easier. 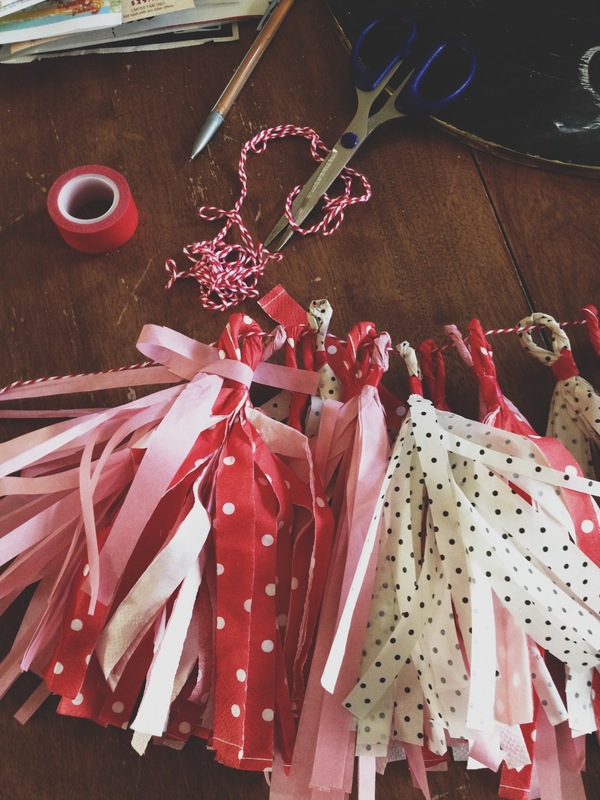 I modified this tutorial a little bit to make it easier and less messy (I used washi tape instead of hot glue, for example). I had such fun making it that I decided I needed more of them. Off to the store to get more tissue paper, brb. 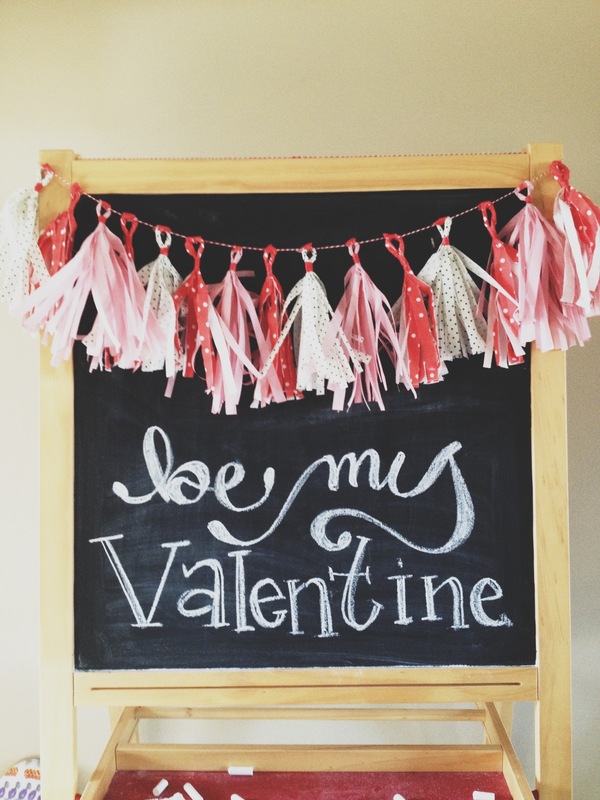 This entry was posted in crafting and tagged banner, DIY, valentine decorations by steph hagen. Bookmark the permalink.